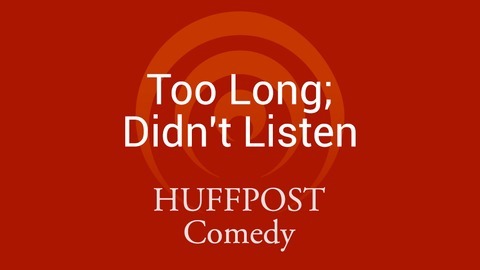 Too Long; Didn't Listen features interviews with comedians about topical humor, the comedy industry and how they hone their craft. 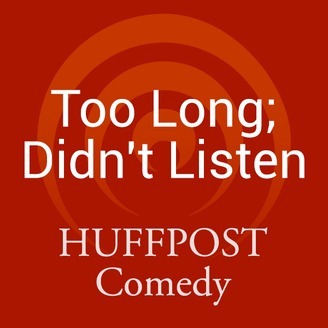 Each episode is hosted by HuffPost Senior Comedy Editor Katla McGlynn. Rachel Feinstein and Nate Bargatze discuss their latest stand-up endeavors and everything from creepy memories about the Easter Bunny to dreams of being a criminal profiler. Feinstein has a new stand-up album coming out this year, is currently producing a pilot for Comedy Central with Amy Schumer and will make a cameo in "Trainwreck" this summer. And to think, all this after shirking college to move to New York City with a band called Dicksister when she was a teenager and getting fired from her first job "On Broadway" (at a store called Phat) after just four hours. Bargatze's new one-hour special, "Full Time Magic" is premiering on Comedy Central on Friday, May 2 at midnight, the title of which is a nod to his father, who is actually a magician. Things weren't always top hats and tuxedos though, as Bargatze explains, his father used to be a clown who made family pictures extra weird and once gave the Easter Bunny a ride home from the mall (side note, that might be the saddest end of a sentence ever written). Listen until the end to hear the advice that Nate and Rachel would give to themselves when they were first starting out, including a speech that we made extra inspirational with the addition of a little mood music.